Becoming a mum of two has not stopped me from venturing out to the streets nearly every day. Yes, I say it is a venture because getting stuck in a situation with two bawling kids and having to take care of a stroller, a bulky diaper bag and other baby necessities is not something I would define as fun. 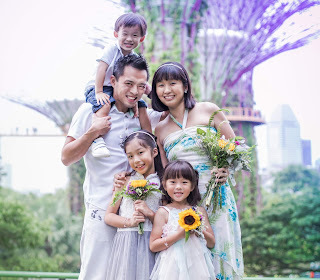 In spite of that, I like to bring the kids out and go for what we call a '3-girls date', be it going to the library for a read, shopping for groceries at the supermarket, lunching at the coffee shop, eating ice cream at McDonalds, taking a spontaneous ride on the public transport and exploring new hangouts in Singapore. Yes, I think I am adventurous in that sense. 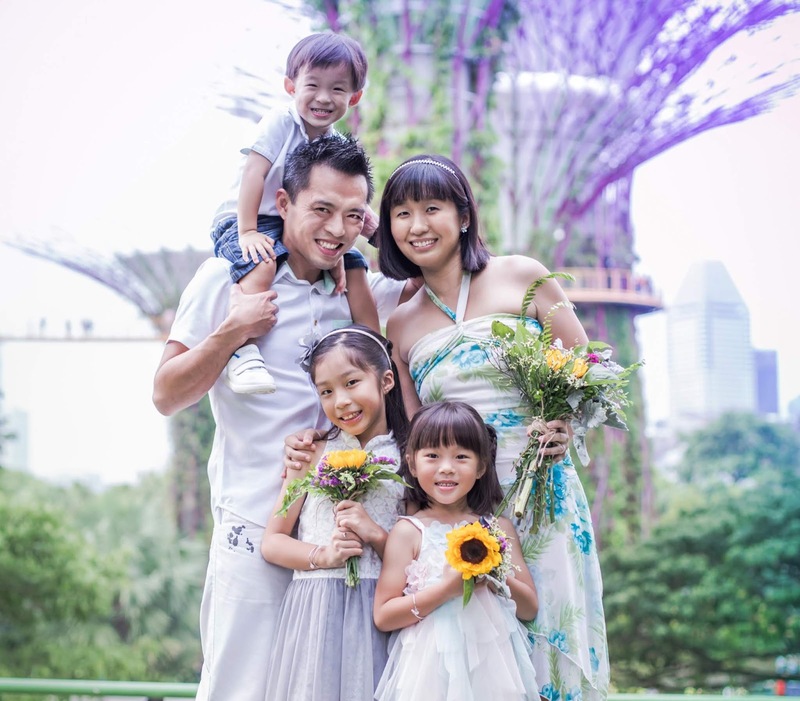 Perhaps it is not such a common sight in Singapore to see a mum out with two kids. I swear I get abundant remarks from passers-by, some would say things like "Why don't you have a helper or ask your mum to follow you?" or "You mean, you bring not just one, but two kids out? ", some point to my stroller and peer into it to check if there is a baby, some look at me and secretly whisper to their friends, some come up to talk to or play with baby Ariel, who smiles at every stranger by the way. Having come from a baby-friendly town like Karlskrona where you can find ramps and elevators everywhere, and even to the extent that all buses have designated areas for stroller parking, Singapore was definitely a big change for us when we first came back. The jostling, the rushing, the cramming with the crowds on buses and MRT trains took a while for us to adjust to. One of the regulations here that makes it harder to travel with kids is the need to fold up a stroller whenever you board a bus. I take the bus quite often with the kids because that is the fastest way to get to my parents' house. Frankly speaking, I feel like a female Hercules every time I do that. Why? Is it really that hard? Seriously, you have to try it to understand. First, I have to put Ariel in the baby carrier so that I can be handsfree, then I sling the heavy diaper bag on my shoulder, next I fold up the stroller in a flash and hold it with one hand, and at the same time I use my other hand to hold onto Angel. When we board the bus, I need to ensure we have our EZ-Link cards ready while eyeing around to see where is the best place for us to park all our stuff. If we are lucky, we get a seat. If not, we jolly well have to stand around and I need to remain vigilant is to ensure my kids stay safe and still take charge of our belongings. Recently, there was a article on STOMP about a bus driver who insisted that a couple must fold up their baby stroller and refused to drive unless they did so. This was despite that the baby was asleep in the stroller and they were only taking the bus for two stops. This is typical of how Singapore works, right? We abide the law. While my heart goes out to the mum and I can understand the frustration of having to wake a baby after trying for hours to make her sleep, I can't fault the driver too because strollers are required to be folded up due to safety reasons. Unlike the big, sturdy strollers commonly seen in Karlskrona, those I see here are relatively light-weighted and frail. That increases the likelihood of the baby getting injured if the bus comes to a sudden halt. In addition, considering how buses are packed like sardines especially during the peak hours, having an unfolded pram is highly unfeasible in a densely populated country like Singapore. So, as much as I wish there can be a way for mums to bring strollers up the bus and park them without going through the hassle of folding and unfolding, I kind of think that it sounds impractical in a sense and will never be allowed to happen. Yesterday, I was interviewed by The New Paper and the reporter asked me to demonstrate to her on how I bring the girls out and still commute by public transport. I swear the young lady was in awe after seeing how I do it and keep it altogether, while at the same time rejecting any assistance from her just because I know I can do it myself. It kind of shocks me when I hear people saying things like "Mothers with kids should just stay at home". Hello, what do you mean? Is it that motherhood jails us as people or that having children means you will have no life thereafter? Or some who suggest things like "Leave the kids home and go out on your own". Well, that has never happened to us because firstly, there is no one else to take care of them but more importantly, they are my kids and I love having them beside me. Then there are others who say things like "If you have kids, just take taxi and save everyone the trouble". Ermmm, that would mean I have to take taxi every other day and well, not everyone can afford that kind of lifestyle. Plus, I don't wish for my kids to take it for granted that they will always be chauffeured around. It's a little ironic that while the nation has a dire need to raise the birth rate, our public transport system and even our way of thinking are posing as obstacles. I am not surprised that some people just don't want, or don't dare, or don't even wish to step into the journey of motherhood. For me, I think that it's just a matter of getting used to it and having the confidence to believe you can do it. Some lifestyle changes can also be made and habits be cultivated to make things a little easier on the mother, like how we make it a point to bring out the 'small' stroller when we take a bus or simply don't bring it at all, and how I teach Angel to tap her own EZ-Link card and make it a practice for her to hold onto the handrail. Bringing the kids out might be a little challenging but it is a fun affair for us and a great way to train up those muscles. Most of all, it makes me, and my girls, happy. So come crowded buses or MRT trains, come rain or shine, come big, small, folded or unfolded strollers, I am not going to let them get into the way of our 3-girls date. And for the record, life doesn't stop, but it gets better with motherhood. Love your article! It's very well written! My motto after becoming a mother is, "Cannot also must can!" cos if I don't do it, who will? I'm the main caregiver for my children, and like you, I have no extra help whatsoever. Haha spot on, Mabel! Cannot also must can!! =) And after a few tries and some practice, we become experts already and it becomes a way of life. Hoot! Love your point about finding all sorts of life-cheats, that is so true! Keke, must teach me more! Im100% with you on this, Summer! Is not impossible,but it is not easy. I think many people need to learn that society does not owe them anything. We go out on 3-girl dates too! And thought we have not been approached by strangers who ask us where our helper is (because we do not have one! ), I have heard aunties "whispering" as we go past "wah like that also can ah". 3-girl dates rock! Lets do a 6-girl one soon! Woohoo! 6-girl date sounds absolutely awesome! I don't know why people like to assume that if we have more than one kid, we should have a helper. My friends always ask me why I don't engage a helper at home too. Well, I think for now we mums like to think we are superwomen and can 'bao ga liao'. =) I am happy with our lifestyle now and I bet you are too! Cheers to more fulfilling days ahead! My children are two years apart. 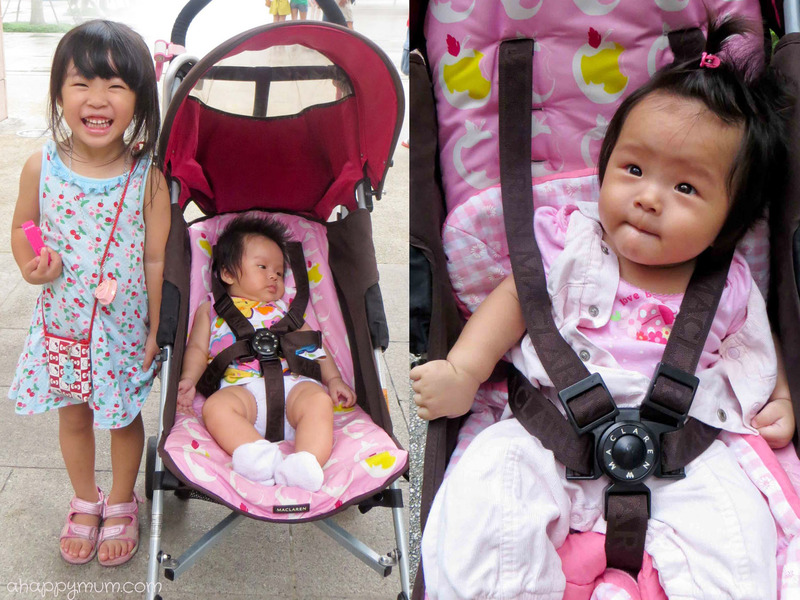 When my younger one was still a baby, I would bring them out on my own without any stroller. I would use a baby sling for my son if I have to, and also make my elder daughter helped to carry lighter stuff like tissue paper and diaper. My rule for my kids is - If you want to go out with me, you gotta WALK ON YOUR OWN, or we can all bloody hell just stay at home and rot. Your choice. They choose to walk. I am really impressed with supermums like you! Because I rarely go out alone with my baby and if I do, I try to take the MRT or a cab cos it's easier to handle and I don't even bring out a pram when I am alone with baby! Can you do a post on what goes into your baby bag cos mine's always overpacked as I try to bring as least 3 feeds out everytime we are out - ie at least 3 milk bottles filled with cold water, 1 hot thermos, 3 milk feeds on top of every other etcera items and the bag always weigh a ton! Hi verglas, I don't like to stay home all day so that is why I kind of force myself to get used to bringing the kids out too! It's honestly not that hard after a while. I do try to take MRT over bus too whenever possible! That bag you have sure sounds heavy!!! I only bring out one milk bottle for my elder girl and depends on where I am going, I might not even bring a thermo flask. Sometimes I just fill the bottle up with hot water and keep it in a warmer, or if the water gets cold, I go to restaurants or coffee shops and ask for a cup of hot water. For now, my baby is still on total breastfeeding so all I need for her is a nursing cover, diapers, clean set of clothes, teethers and wipes. I also bring along my belongings like purse, hp, keys, camera and I also always carry a water bottle too! Totally agree with you that practice makes perfect! I used to be afraid of the idea of bringing out my son with the stroller in tow. Well because I thought it was too heavy, too troublesome, too this ,too that that I didn't went out at all! And that was when I only had 1 kid. Now with 2 kids and a changed perspective, I find that its mostly a logistics and planning issue. If I really need to go somewhere where I'll be tackling 2 kids and a stroller alone, I make sure that I plan well in advance my routes and the stuff I have to bring. Yes, planning in advance helps too! Like going to the supermarket or going to the zoo means you bring totally different things in the baby bag. =) Glad that you changed your perspective and managed to enjoy days out with not one, but two kids too! I so hear you on how hard it can be to unfold the pram with a baby strapped to you, I need to lift the catch of my pram too, not like those that can unfold with the touch of a button. But yes, practice makes perfect and mums have this magic power to make everything work in the end! Excellent article, your posts have always been informative and inspiring! Just want to ask, what if it rains when you are out with the kids? Hey! Just reading this (if not because of Sandra;p). Great sharing and seriously, life gets better with more adventures like this! p/s: if there is a 6 girls date! let's do a 9 girls date, make a record and make those eyes pop and jaws drop ;p.
I like the open-mindedness of this article to adopt to the rule;-) On the other hand, I think we need more people to press onto the bus companies to change the rule, maybe gradually. I like your attitude and 3-girl out time. this is really good thing, we must make some time to go out from home and spent quality time in park and other important places. The very first time I went out with my daughter and a stroller, I made a disater on the walking .Then everything turned to be worse with a sudden rain. I was confused and that was the very first moment that I would never forget. I got it on my diary for the little girl, everyday I did it. I hope maybe one day, she will turn this book page to page and see how wonderful I am to be a mom. You're so great as a woman mand a mother. Hope for your best happiness with your children. Thanks for sharing such a wonderful experience!